Self-driving trucks are the next revolution coming in the transportation industry, and they may be here sooner than you think. Last month, we discussed the immediate future of the freight industry and how your business can adapt in the coming years. Although total freight volume is expected to increase every year for the foreseeable future, capacity will not be able to keep up with demand, leading to potential increases in trucking rates. How the transportation industry innovates to meet increased demand will be crucial to ensuring the smooth flow of both interstate and international commerce. So what does the transportation industry have up its sleeve for the future? By now, you’ve probably heard of the great advances big technology firms are making in the realm of self-driving cars. This technology has the potential to change not just the auto industry and our relationships with vehicles, but also the transportation and freight industry. Just last October, Uber conducted a test run of a self-driving truck to deliver a load of beer from the brewery to a warehouse 120 miles away in Colorado – Tesla and Volvo are also making strides in the development of this technology as well. Self-driving trucks may be here sooner than you think, so it’s worth taking a closer look at this new technology, as well as how it is poised to revolutionize and disrupt the freight transportation industry as we know it today. There are many positives of self-driving trucks that those in the know point to when arguing in favor of them. First, self-driving trucks completely eliminate the margin of human error that is inherent in the driving process. Computer software cannot use a mobile phone to text or call others, violate traffic regulations, drive intoxicated, or get tired and lose concentration at the wheel. Critics in favor of the technology argue that this will lead to fewer accidents and safer road conditions for everyone. Another key benefit of self-driving trucks is the potential to reduce traffic jams. The software behind the technology is capable of receiving and evaluating data from the roads to choose the best routes to the truck’s destination. In addition, congestion is further reduced because drivers won’t make decisions on the road that contribute to it, such as trying to squeeze into lanes to cut a few minutes from their drive time. Finally, self-driving trucks allow for much more efficient transportation of cargo than what is feasible today. Without a human driver, trucks can run indefinitely as long as it has fuel, leading to faster transit times. The software can be implemented with tracking elements to provide customers with a deeper understanding of where freight is at any given point. Fewer delays overall contribute to a more reliable service. Overall shipping costs, in addition, should go down with greater fuel efficiency and a reduction in driver costs. Critics of the development of self-driving trucks provide a few reasons why they could pose a problem. First, they contend that a key argument of those in favor of the technology, that the roads will be safer since human error is eliminated, is flawed. The critics say that it’s uncertain whether road conditions will improve, especially if human drivers are still on the roads along with the self-driving trucks. Computer software simply lacks human intuition, they say, and it may not be able to react properly if a human driver makes an unexpected move on the road. 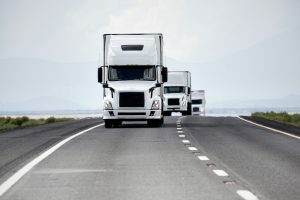 Many say that the overall number of accidents may actually increase as a result of mixing self-driving trucks and human-driven vehicles on the roads. Another very important challenge to the development of self-driving vehicles, in general, is the problem of software vulnerability. Stories about a big data breach or computer hack hit the news just about every day. These stories should remind us that, as connected as we are in the modern world, our technology is still vulnerable – no matter how secure a system may be, it can be hacked. Companies developing self-driving technology will have to reckon with this fact and develop cybersecurity measures to counter the potential threats since a hack of a self-driving truck or car could have extremely serious consequences. One final criticism of the push to self-driving trucks, and perhaps the most heavily discussed of them all, is the effect they’ll have on the workforce of the transportation industry. Jobs in this industry will shift abruptly from drivers to mechanics and software maintenance and development. While full-scale elimination of jobs is highly unlikely, a significant portion of the driver workforce will find themselves out of work. Now, many argue that self-driving technology is a necessity in the face of current and future driver shortages industry-wide. Nevertheless, the transportation industry will have to prepare for the human cost of this technology. This entry was posted on Thursday, September 28th, 2017	at 9:51 am	and is filed under News	. You can follow any responses to this entry through the RSS 2.0	feed. Both comments and pings are currently closed.